Perhaps you are here to read the post because you are looking for buying berets online. Well, I’ll tell you that you’re on the right way since a beret will make your every day outfit cooler. 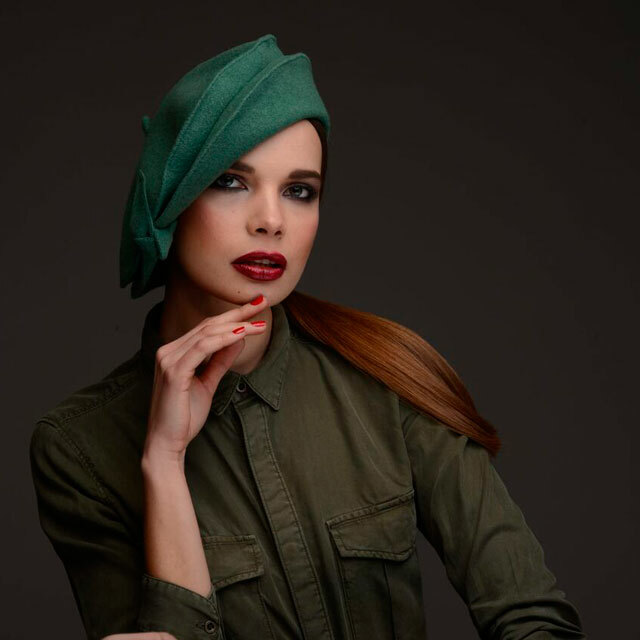 Very popular actresses like Marlene Dietrich, the elegant Coco Chanel or the revolutionary Che Guevara… are just some of the examples of historical figures who have popularized the use of the beret throughout history. Today, high society people, middle class workers and of course, “influencers” use it every day. When we go into the beret’s history, we realize that they have been really fashionable for many years and also that they have been used by many people for a long period of time. Berets have been kept alive throughout history since human being always seek to acquire products that make them feel and look better. Berets, without no doubt, are one of these products. Berets have remained fashionable since always, no matter which period of history we talk about. Although we know them and we know how they are, many people don’t know where they come from. I’ll tell you that the beret was born on the small Italian island of Sardinia. It is said that its first appearance was more than 3,500 years ago and since then, it has always been used. This complement began to be seen in artistic representations of local people. In addition, it also began to be used not only by shepherds and humble people living in villages but also by high society. In the 18th century, during the industrialization, beret factories began to multiply since it was a very used complement at that time. These factories used to make berets in an exclusive way, that means that they only were dedicated to manufacture berets. Nowadays, some of these factories are still operating. In Canada the berets were part of the “Fencibles Glengarry”. This was a light infantry unit, raised primarily in the Glengarry district of Upper Canada by Scottish emigrants, shortly before the outbreak of the Anglo-American War of 1812. The beret later became a characteristic part of the uniforms of the Scottish regiments. Nowadays It is currently used as part of the Scottish military or civilian attire. Many other armies have also incorporated it throughout history in their millitary uniform. We cannot forget the so-called “green berets”, a special operations military unit of the United States Army. They started using it when President John Fitzgerald Kennedy, in 1961, authorized them as part of the special forces uniform for an event. They are using it from that moment on. The use of berets also arrived to sports. In the twentieth century, berets began to become popular among athletes, specially those who practiced the most elite sports such as golf, tennis, polo, etc. Some of the most popular sportsmen like Jean Barotra or René Lacoste included them in their usual clothes to play their games. At the beginning of the 20th century, many were the film directors used to wear a beret on a daily basis, making it so fashionable. Also actors of the beginning of the century appear in many photographs time using this accessory. Currently, many actors wear berets to show a different look. If we talk about classics, we can not forget John Wayne as a beret lover. In Spain, the use of the beret has always been linked to northern regions such as Aragon, the Basque Country or Asturias. In the Basque Country, for example, the beret is an element with a long tradition. Regardless of where it comes from, for the Basques it is something that reflects their identity. How is a beret produced? Most of the berets are made of wool. This material is perfect for weaving because of its flexibility and its elasticity. The wool can stretch 50% of its length and it does not break. The production of berets has been modernized so factories are currently working with straight looms that produce several pieces at once. In the past, they used to be made by handly with unprocessed wool and one by one. 1- An “incomplete circle” is woven and remeshed so it adopts the shape of a beret. This means that the two sides of the circle are joined. It is a difficult process and must be done with great care. 2- After re-glazing, the central hole is sewn ending with the corner. 3- Milling: this means mixing the wool with the chemical components. 4- Dyeing: the berets are mixed with colors and molded in hot so it acquires the correct shape. 5- Stiffen: where the hair of the beret is lifted to cut the excess. 6- Cut the corner to the right size. Nowadays, many producers choose materials and processes that are more respectful with the environment. That is why the berets produced with ecological materials are entering into the market step by step just like the rest of organic clothing. Berets have always remained fashionable but as all the accessories have had their ups and downs. 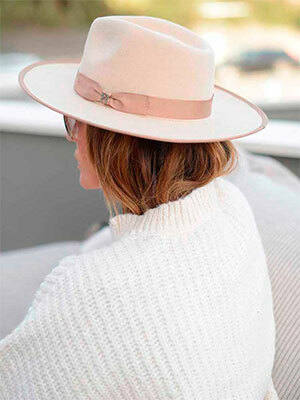 Many major brands such as Gucci, Giorgio Armani or Chanel or even Dior have recently proposed the beret as part of the outfit for next winter. They have that special feature (unisex) that makes them very useful for both men and women. Nobody will tell you something negative just because you use it. On the contrary, every comment will be positive. We will see how the use of berets by women, men and youth can make the look better, different and original. Whatever the reason you decide to wear a beret, you will always be following a look worn by the best ones. Recently, we have also enjoyed the Spanish Gala González wearing beret, Moroslava Duma, the model Yumi Lambert, and many other famous. How should women wear berets? The French beret can be used with everything. If you wear it, you will be wearing a modern look. No matter whether you use skirts or pants, you can combine it perfectly with both of them. If you get to use the beret to the Parisian style, remember to take your smartphone in order to take pictures and upload them to your social networks or share them with your friends and family. You will be the coolest one! There are berets with pearls or precious stones to combine them in a spectacular way and be different. If you are more of classic dresses, you can also use the classic black beret to combine it with any shirt or pants. But if we think of a beret for women, it comes to mind the French style that has always been fashionable around the world: the famous combination with the sailor shirt. Women of the category of Rihana have worn this style and always in favor of improving their look they vary from time to time with a beret. – If you want to dress a bit “chic”, you can always add some sports shoes to your combination. – If you prefer to show a little more elegant, you can combine your French beret with a totally black dress to go to the office, for example. 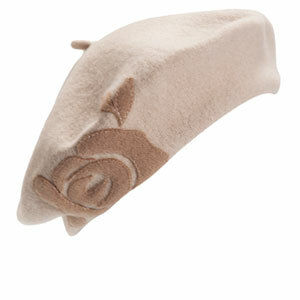 – If you are a little more extroverted, you can use a variety of colors to combine your beret. If you are a woman, you should know that you can combine berets with everything you already have in your closet. You just have to know that whenever you use them, you will be the center of attention. Everyone will be paying attention to your style. I encourage you to be that different and fashionable woman. Do not miss your chance to be in Parisian fashion. If you do not find it in the stores where you usually shop, you can always buy berets online and surprise your friends. 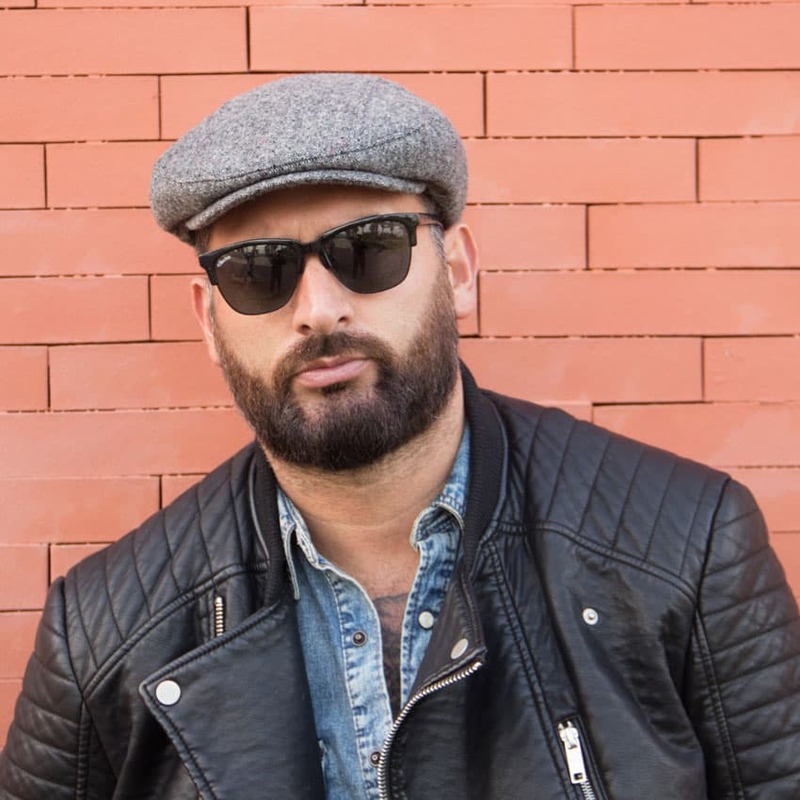 Throughout history, berets have been used as a male complement to dress. Its use has helped to everyone who used it in terms of personality, style, security and protection against the cold in winter. Known as the “British style”, we know that many important men have worn berets to keep their look on. Characters such as George Clooney, Brad Pitt, David Bechkam, Ethan Hawke, etc. – You can wear a brown raincoat with leather pants and boots as the purest cowboy style. Maybe you can get to feel like John Wayne. – You can also choose a gray coat and combine it with blue jeans and black boots. – Another option is to combine the use of the beret with a black or gray vest with blue pants. – For a combination with a lot of personality and style you can wear a black suit with dark glasses. Everyone will desire to look like you. – If you want to go more unnoticed and dress easily, you can wear a gray or black beret combined with black pants. If you are a man you must be excited if you have already noticed that people with Brad Pitt’s category use them. I congratulate you for the decision you have made to investigate by making the decision to improve your look. Just keep moving and reach the end of your path fulfilling your dreams and if wearing a beret is part of them, go ahead! Nowadays, also young people wear berets and show that it is not only for men or women of a certain age. Today’s young people are more aware of fashion than anyone else, and if berets are trend, they will be the first to use them. When buying online berets, young people are more daring and do it more frequently. If you are young, you know that you are daring and no matter what they say. You will want to take care of your head from the cold with style. So a beret is the best solution. I hope you can use each and every one of the tips that I have given you in the best way. 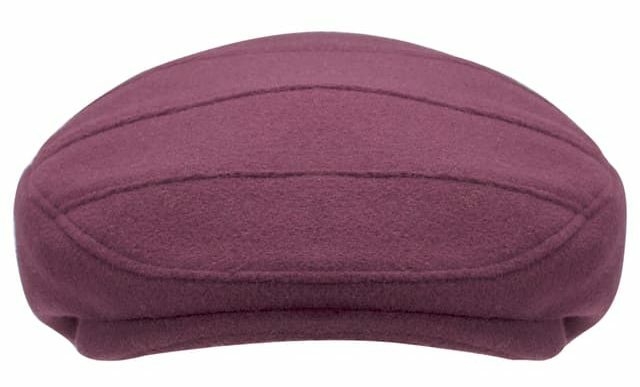 I wish you could share it to other people in order to push them to buy berets online and thus extend the use of this fashionable add-on. Now you have no excuse. You already have what you need to know about berets. The decision to be part of the history of those who at some point have worn berets is yours. Just do it!